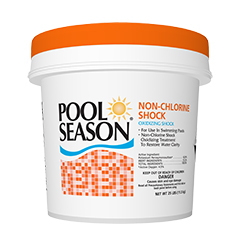 Classified as an oxidizer, this treatment is oxygen-based and contains no chlorine. However, like its chlorine counterpart, the oxidizer is an effective waste remover. The water is ready for a dip in just 15 minutes.